I have been experiencing numb feet and toes.My doctor prescribed vitamin D supplement to see if it would help this problem! I have taken 3 so far(one a week) so far nothing! I have been taking crestor for about 6 yrs and never had this problem before, my feet and toes have been numb for about 4 or 5 yrs now! It don't really hurt but feels really weird! The condition that you are experiencing is most likely called "Peripheral Neuropathy". Often this condition is accompanied by pain, but not always and obviously in your case, it has not, but it's still a similar or the same condition. So, My first question is- did your doctor check your Vitamin D Level? And if so, what was it? If you DIDN'T have your level checked, then you should have one done. My second question is: Are you a diabetic? 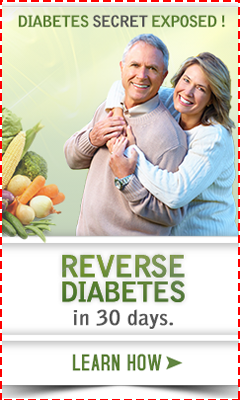 And if so, for how long and how is your blood sugar controlled? 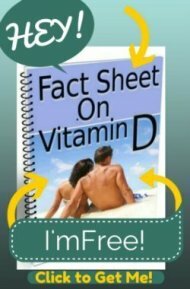 Next, please read my page on Prescription Vitamin D to see why you should be switching to Vitamin D3 instead of the prescription that your doctor gave you. Next, remember that Vitamin D is NOT a drug. Vitamin d works when your levels are normal. But if your levels were low, then 3 doses is not going to bring your levels up high enough to fix the problem if it is due to vitamin d.
For a complicated problem like that, it could take up to 6 months to improve your condition!! Be patient, but.... in the meantime, you could be doing several other things to help improve your condition in case it is NOT due to vitamin d deficiency. Also, I HIGHLY recommend that you take a look at the book, The Great Cholesterol Lie to see why the entire concept behind cholesterol medications is wrong anyway- and what you can do about the REASON that your cholesterol levels are elevated in the first place. OK. So, that's enough for now. You have a lot to read. I have had the same numbness in my feet and a friend recommended Evening Primrose Oil Capsules. 1000mg. a day. My pain is not gone completely but it is greatly improved. I hope this will be helpful to you. I, too, had numbness in my feet. It came about suddenly. I rushed to the Dr. the next day. I also complained of sore knots in my breasts. Upon examination, I almost screamed, it hurt so badly. My Dr. said that I had inflamation all over my body, and ordered blood tests. One was to check the vit d levels in my blood. It came back extremely low. (11) I was told optimal levels are 55-60. I was put on prescription vit d, 50,000 IU once a week. Gradually, after 3 months or so, the feeling returned to my feet. However, my vit d levels are still far from optimal level even after 9 months of treatment. (Only 33) Also, the intensity of feeling in my feet is not up to normal, but I do have some feeling. I've been reading that prescription vit d is D2, and our bodies need vit D3. Don't know who to believe, but I sure am tired of being sick!